It’s lovely having your own home. However, there is no escaping it, houses are incredibly pricey to run. 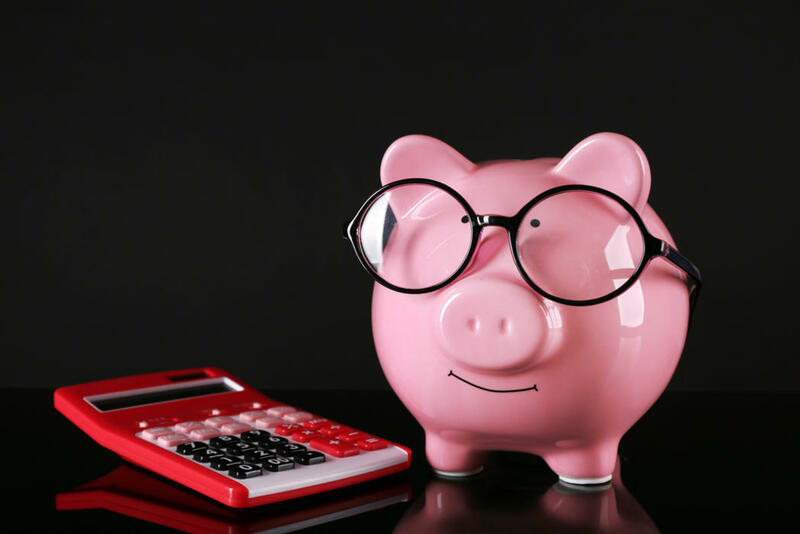 The good news is that cutting costs and saving money on your household bills doesn’t have to be as difficult as you might think, in fact, it can be relatively straightforward and easy. To aid you in this in devour we have listed 10 fun, and easy, ways to cut back and save. If Utilized these tips could change your life for the better. It’s easy to forget that your debit card is actually ‘real money’ isn’t it? Far too often we forget to calculate the amount we are spending and fail to realise that the odd cappuccino here and the odd new top there actually starts to tot up to quite a lot. So, the thing to do is easy - swap from paying with card to paying with cash. At the start of the week withdraw a set amount of cash for the week, to cover everything from your food shop and petrol to the odd coffee and cake break, that way you can’t overspend. Buy a piggy bank - ideally one with no stopper that has to be smashed to get into - and aim to save every £2 coin that you have. Each time you have a £2 coin, don’t spend it, save it and put it in your money box. Some money boxes say if you fill this jar with £2 coins you can save £1000 or if you fill this jar with £1 coins you can save £500, etc. Try to find a jar that tells you how much you can save by filling it with a certain coin - this should help to motivate you! A common issue in many households is living beyond your means. If you feel like this might be something that you are doing, don’t panic - it is easily remedied. First, you need to work out if you are, in fact spending more money that you earn. How do you do this? Save every single receipt for a month in a box and then at the end of the month add them up, and include the cost of anything extra such as your rent, short term loan or mortgage and then compare the final figure to your income. If you are spending more than you should be, don’t panic, some simple budgeting can help. We live in a world where we feel compelled to buy the best, established brands. From Nikey trainers for Junior, to Branston Beans for Dad. We're not trying to suggest that the kids start walking around in 2 stripe Adidas. However, you can become smart with your purchases by finding the best places and getting into the routine of spending at the right times. Swap Sainsburys and Tescos for Aldi or Lidl and don't be put off by home brand food. For instance, a can of branded tinned tomatoes can cost around £1. Whereas a tin of supermarket own brand tinned tomatoes cost around 30p. It’s not just tangible goods we buy in supermarkets where great value can be found. It’s no surprise that Jeff Bezos (the owner of Amazon) is now the richest man in the world. Amazon has invested all profits its made over the last 10 years in lowering costs and providing better value for the consumer. Make the most of online sites like retailers like this. Ebay, and Asos as favourites of mine. Better still, check out their clearance pages and set reminders in your phone for their discount seasons. You would be amazed at the value you can get online if you get into a routine and stay disciplined. Takeaways can cost upwards of £40 for one meal. That’s over half the cost of a weekly food shop and a total waste of money. Instead of having takeaway have ‘fakeawy’ instead. There are plenty of recipes online for Chinese, Indian, etc. or you can opt to purchase ready-made supermarket fakeaway meals - they taste pretty similar, are healthier and cost a fraction of the price. One of the highest household bills most families have is energy - we tend to use a large amount of energy each month. The good news is that you can easily cut the cost of your energy down by making some simple changes. Like, swapping your traditional halogen light bulbs for eco-friendly LEDs or longer life low-energy usage bulbs. Admittedly, these cost slightly more to buy but they last more than three times longer than normal bulbs and use a lot less energy, which means that they will actually save you money in the long run despite costing more in the short-term. Other changes you can make include fitting a water cap on your bath, shower and taps that minimizes the water used. Unplug all unused electronic devices. Turn off lights when you leave the room. Use a programmable thermostat. Reduce the temperature of your water heater. Cable or satellite TV might be amazing but it can also be extremely expensive. A simple way to cut costs is to reduce your TV package to the lowest option there is or get rid of it altogether and use Free View. Of course, if you are going to miss the range of entertainment options available, you could choose to purchase a Netflix service - at just £9 a month it’s far cheaper than Sky or Virgin and has so much on it to watch, from movies and TV shows to kids’ TV. There’s also Amazon Prime to consider which is just £90 a year. Or, there’s also Now TV. Food can be expensive, there’s no getting away from that fact. A handy hack is to buy items in bulk and batch cook meals. Invest in some plastic takeaway containers from your supermarket, batch cook meals in bulk, portion them up, mark what they are on the container and freeze or refrigerate. This will make family meals cheaper and far easier too - think of these meals as healthy ‘ready meals’. For any bill that you’re not happy with the price of, take the time to shop around for a better deal. Whether it’s your energy costs, home insurance, or monthly internet costs, don’t stick with a company if you feel like you could get a better deal elsewhere. Call other companies and ask for their best rate and see what they offer you. Don’t want to move companies? Call your company, tell them the deal rate you’ve been offered by a competitor and ask if they can meet it, or better yet, exceed it. If you don’t ask, you don’t get. If you don’t already coupon, now is the time to start. Couponing is a great way to cut your household costs for all kinds of things, from food to clothing supplies. You will often find coupons in magazines or on deal sites like Groupon and Wowcher. Save every coupon you can find and cut costs wherever possible.